How to choose a stamp size /type? * If you need a stamp smaller than 1" size, please click here to see our best small stamp options. Signature Writer (R) Black - best for all types of clay Rubber - for underglaze transfer onto bisqueware Maple Wood - less detail but works well with some ceramic clays Not sure, would like to talk about options? Do you need an email proof ? Not sure, please proof if there are any problems with artwork. Yes, I would like to see a proof before you make it. No, please make and ship as soon as possible. Stamp Size Choose additional sizes with drop down list (click on arrow). 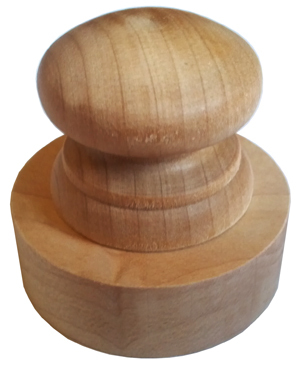 Custom Clay Stamps are priced by size, select your size from the table above to order. We will size your artwork to the maximum available area, if you want the design at a size not listed just purchase a size large enough in include your image and let us know the exact size you want. By default we size the artwork to the maximum size that will fit without distortion of the image. 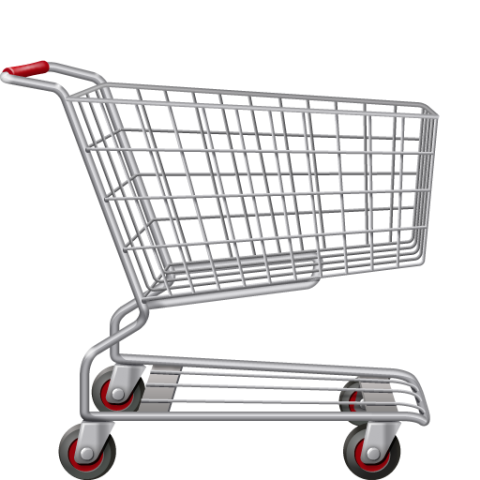 Please note if this is your first time ordering here is some information about the 3 types of surfaces we offer. 1. Signature Writer (R) Black - Signature Writer (R) Surface is a hard black synthetic resin (not metal) that is laser cut with your design and mounted on a wood handle. This is the tool most production potter's choose for production of mugs with logos, etc. This material works great with ceramic, polymer, or precious metal clays (PMC). 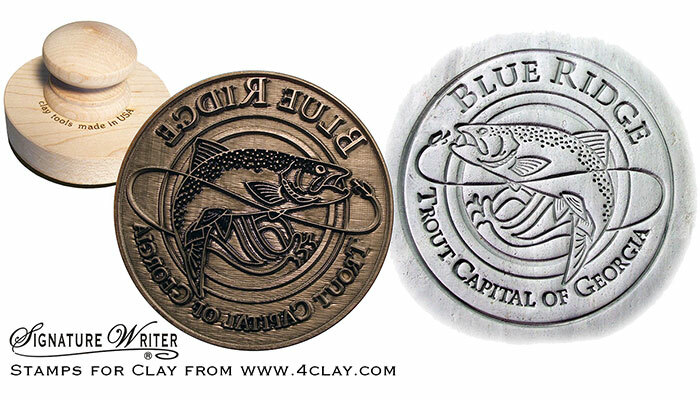 Use a release agent like vegetable oil or similar on the stamp surface for best results in stamping wet clays. For PMC use the same release agent you use on your other tools. For polymer clays you probably will not need any release agent. The Signature Writer (R) Surface may be cleaned with a tooth brush and soap & cold water, but should not be heated in the dish washer or with a heat gun, and avoid very hot water mainly to protect the wood handle. For precious metal clay it is the ONLY surface material we recommend. The surface is good to about 250 F but after that can be damaged by heat. This surface is super durable for 1000s of clear crisp marks in clay and will last for years with good care. Made in USA. The Signature Writer (R) Surface is a trademark of Socwell LLC (exclusively sold at www.4clay.com) The Signature Writer (R) Surface we find holds more detail than brass, wood, or acrylic stamps for marking into soft clay. Note that the Signature Writer (R) Surface is water proof, which works great for marking clay in a production environment, but also means it will not work with potter's pads for liquid underglaze transfer. The Signature Writer (R) Surface is the best we make, and in our opinion perhaps the best available. Just don't drop on a concrete floor or try to dry with a heat gun...those are the 2 ways to damage the surface. Otherwise they last for years. Not recommended for underglaze or ink transfer. 2. Wood Surface (fine grain maple wood) - we offer over 400 stock designs in fine maple wood and you can choose to have a custom stamp made this way also. 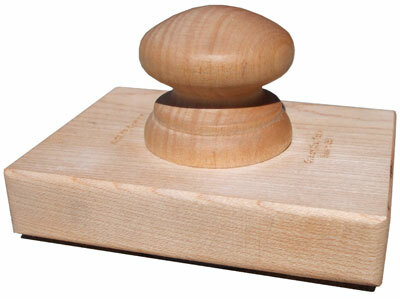 Some artists need wood for their process and they can be nice stamps to use. The reason we do not recommend them for custom as a first choice is that they do not hold as much detail, perhaps about 3X thicker lines are required for good strength in marking clay. Small text should not be used with this type of surface, but if your design is bold these can be a nice option for marking ceramic clays (water based clays). We do not recommend this surface for polymer or precious metal clays. Not recommended for underglaze or ink transfer. 3. Rubber Surface - slightly flexible rubber surface with pad backing that is laser cut with your design and mounted on a wood handle. Choose this surface if you are wanting a mark that will transfer underglaze onto the clay. This stamp will work well with our potter's pads or your own underglaze mixture. Normally this is done on bisqueware or bone dry ceramic clays. We recommend a clear glaze over underglaze marks to protect them over time. This can be a nice option for slip cast pieces or when it is hard to catch the clay at just the right drying point for a physical mark in clay like the above stamps would make. Detail we can hold with this surface is about the same as wood stamps. 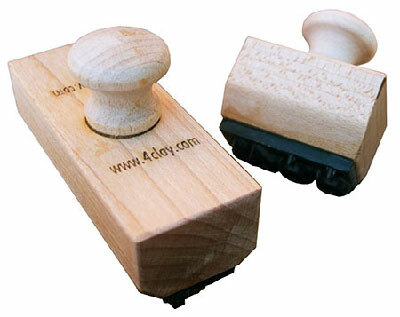 Rubber stamps can also be used with regular ink pads for marking on paper, etc. Not recommended for marking into soft clay, rubber stamps do not make as crisp a mark as the Signature Writer (R) Surface. 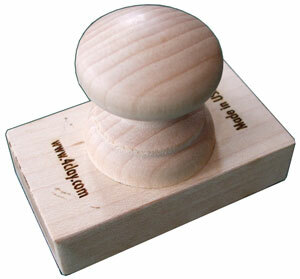 Custom stamp tools are made using artwork you supply. We accept black & white artwork on paper or any of the following file types: .PDF, .JPG, .TIF, .CDR, .AI. If you have questions about what kind of artwork to provide or are not sure what size to choose, you can ask before you pre-pay by contacting us at tools@4clay.com. You can order a custom stamp online from the different size/shapes of stamps listed below. Then send your artwork to us by email for creations of the stamp. We will contact you with any questions once we receive the order and artwork. It takes about 1 week on average to get a custom stamp made.